I do believe my husband should be locked in chastity. 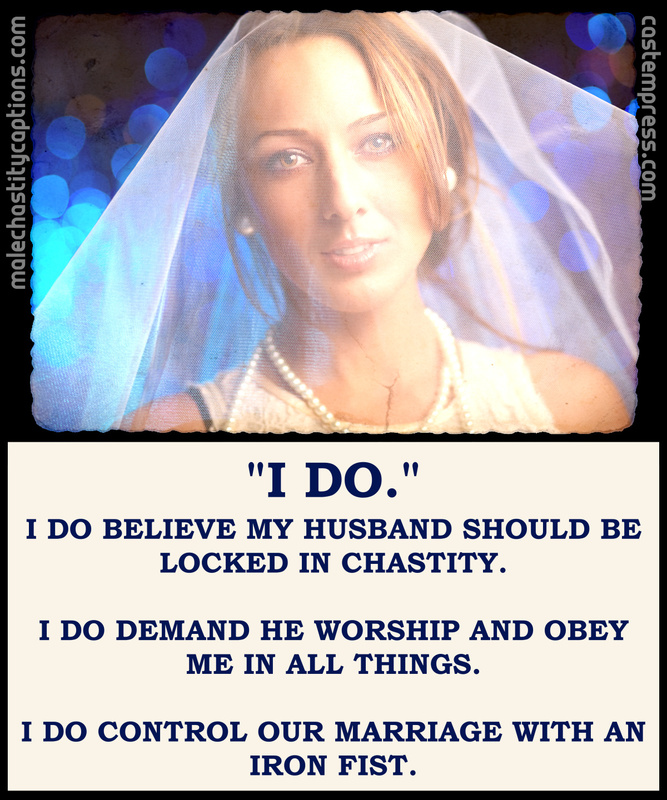 I do demand he worship and obey me in all things. I do control our marriage with an iron fist.